The Hocus-Pocus that puts YOU in Focus! 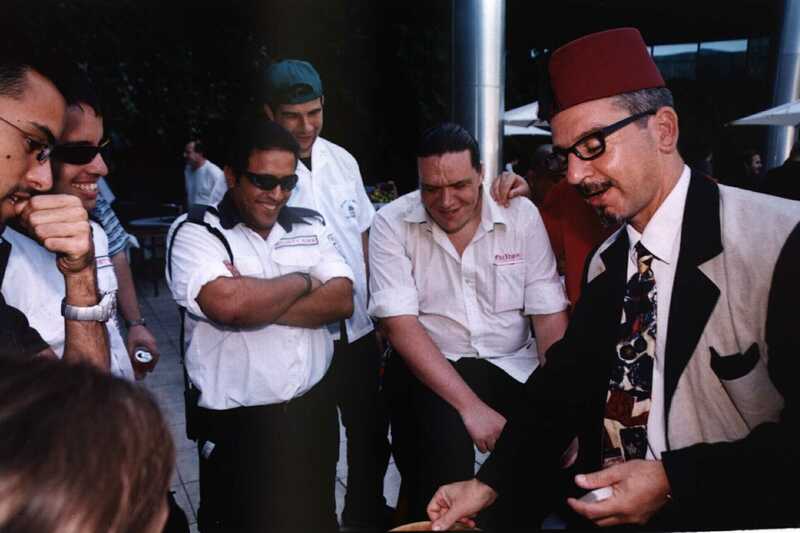 Ori Ashkenazy creates an entertaining and thrilling magical experience that highlights the advantages of your products and services for trade shows, conferences and other promotional activities. 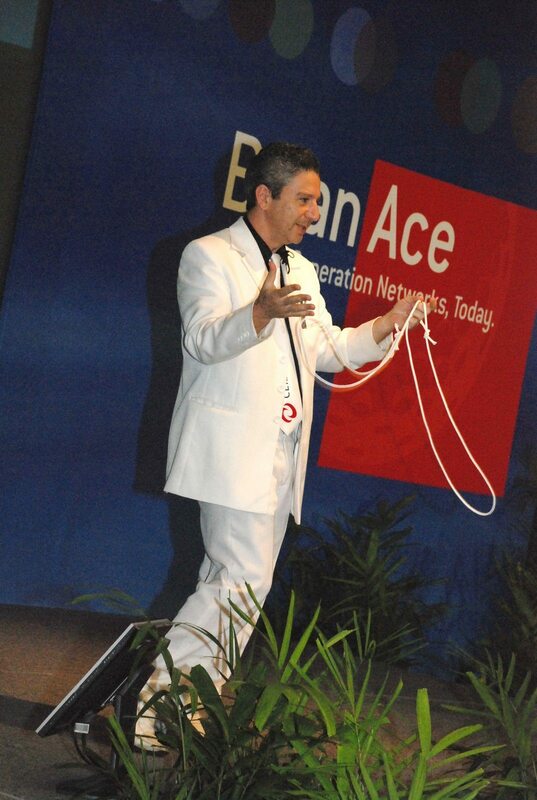 In the show, Ori excites and amazes the audience as he delivers your message with his magic. His magic will do wonders with your products. In the end, YOU enjoy maximum attention, and your customers will remember the experience and in their mind they will associate your brand with the idea of making the unbelievable. Ori has worked with many leading companies all over the world promoting their products and services. 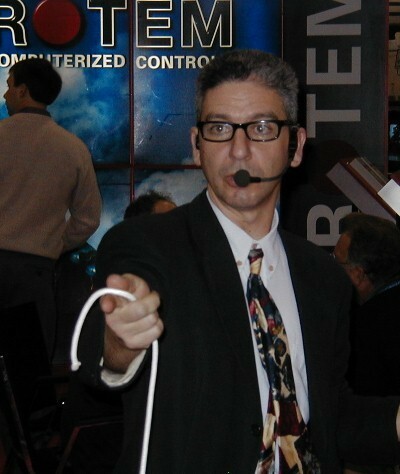 – SanDisk, Plasson, Rotem, ScaleMP, Nirit, Abik, CA, NUR macroprinters, Objet and many more at promotional events, hospitality suite entertainment, as a conference emcee or a trade show magician. 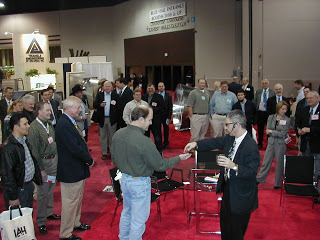 Trade shows are a competition on the buyer’s attention. 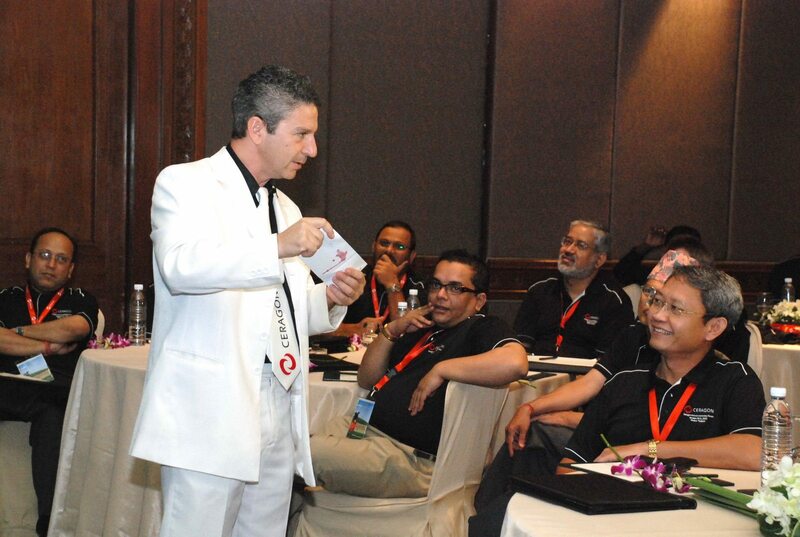 The distractions are great too: Noises, colors, different attractions…So how can Ori’s magic presentation make a difference? – How will ORI betters your ROI? 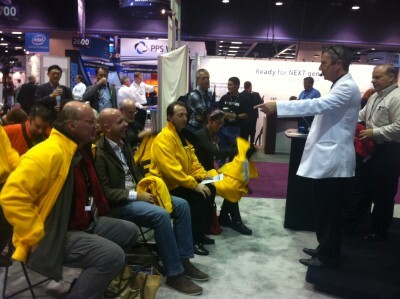 Ori draws people to your booth – Allowing you to focus on sales as he creates crowds of interested people. He sings your words into their hearts – While enjoying, laughing and being amazed the audience will be hearing your marketing message. Ori helps in filtering the correct leads – Your sales team can handpick only the right prospects saving much time and energy. Ori’s show creates a buzz – People seeing the shows (and your branded magical giveaways) will tell others not to miss your booth attraction! 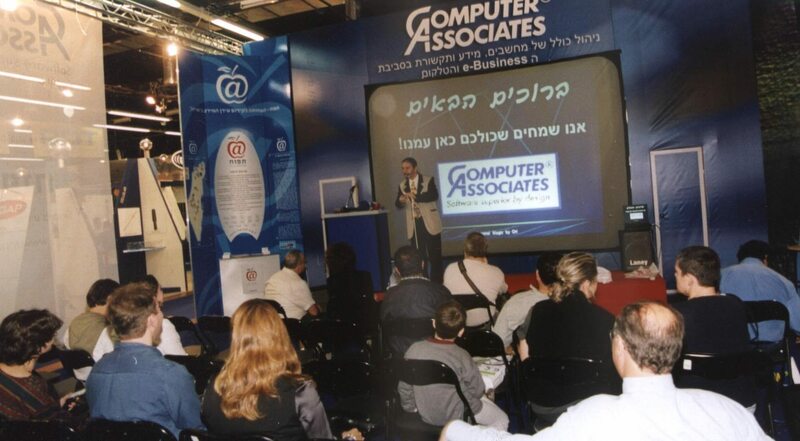 Ori has gained experience in trade show promotional magic around the globe with various companies such as: Rotem, SanDisk, ScaleMP, CA, Plasson and many more. Call now for an amazing offer!